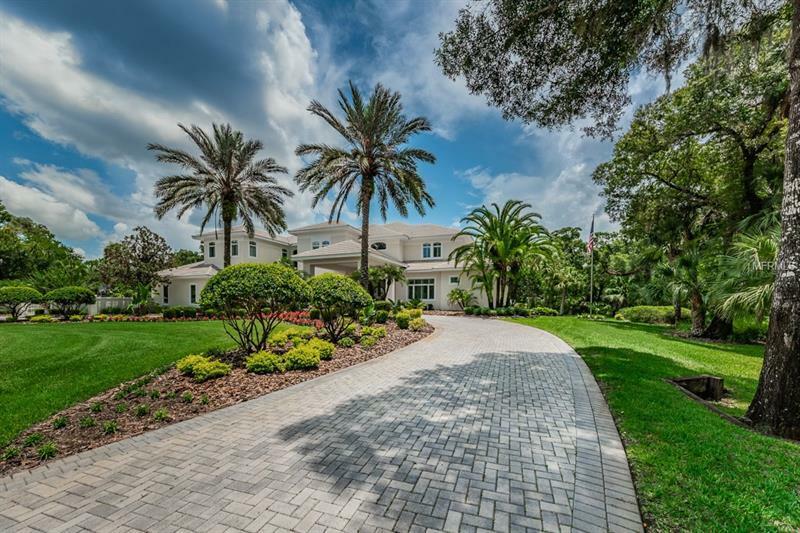 FORTUNE 500 EXECUTIVE ELEGANCE IS YOURS ACROSS THE SWEEPING PRIVATE GROUNDS & MAGNIFICENT FINISHES OF THIS EXTRAORDINARY LUXURY ESTATE. 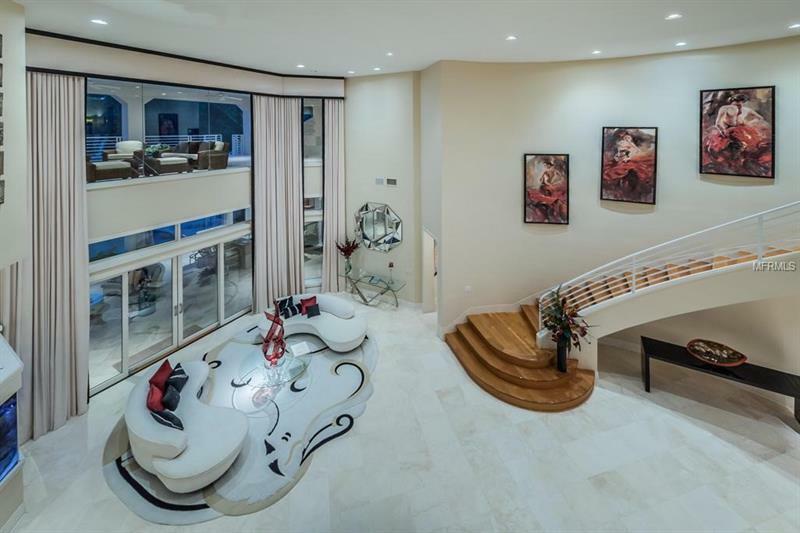 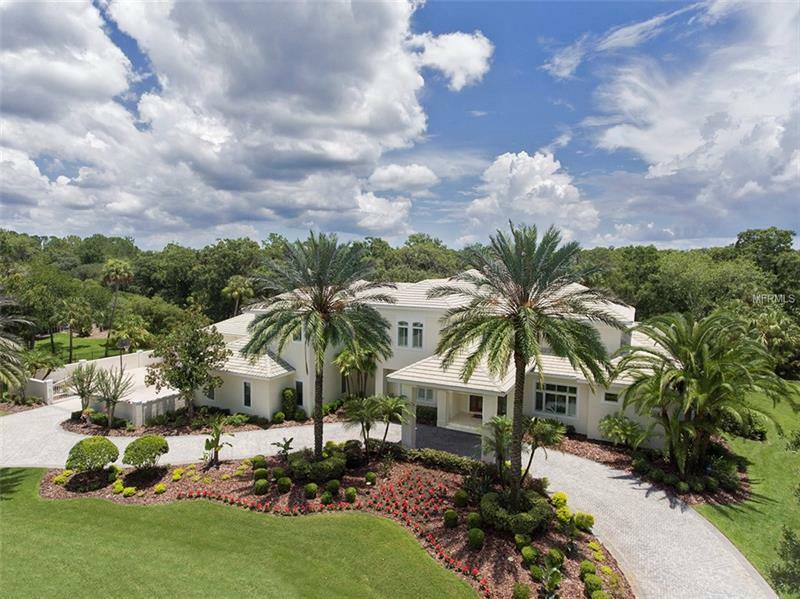 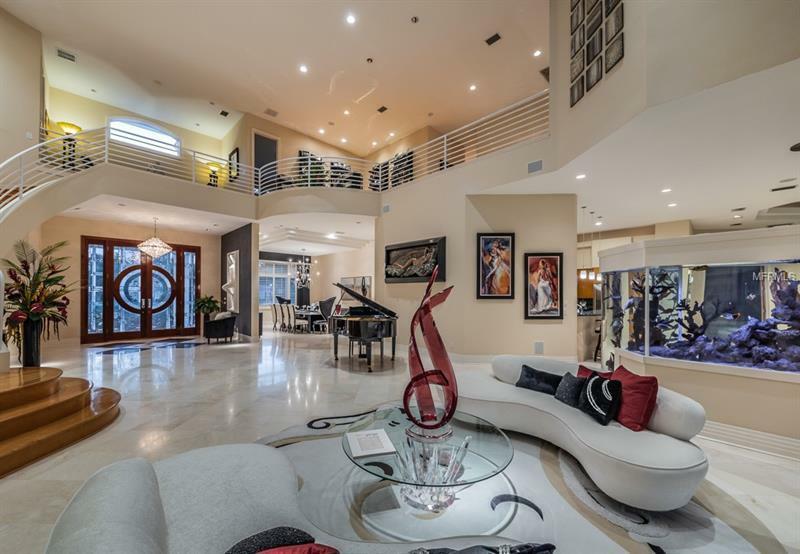 Beyond the stately circular drive prodigious portico and rich foyer entry discover a mammoth great room w/towering 23ft high ceilings pristine travertine floors exquisite lighting wonderful window/ceiling treatments & a spectacular 3-sided salt water aquarium. 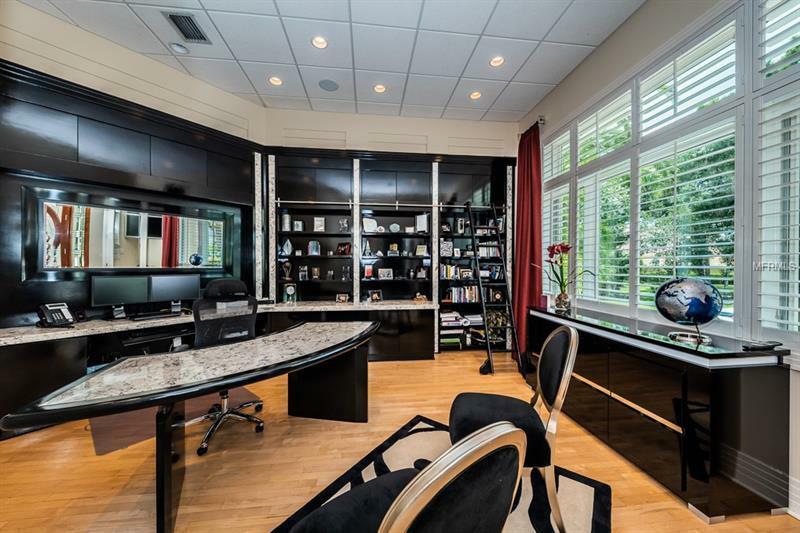 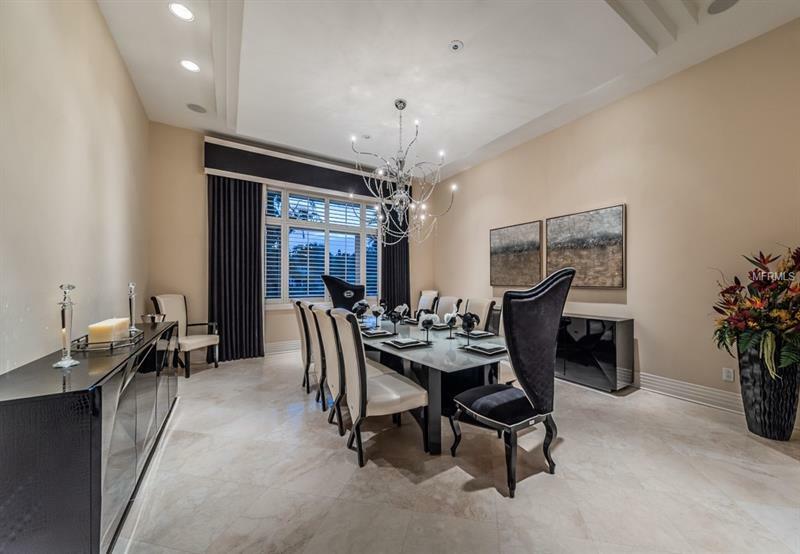 Chic presidential office boasts stunning granite & custom built-in cabinetry. 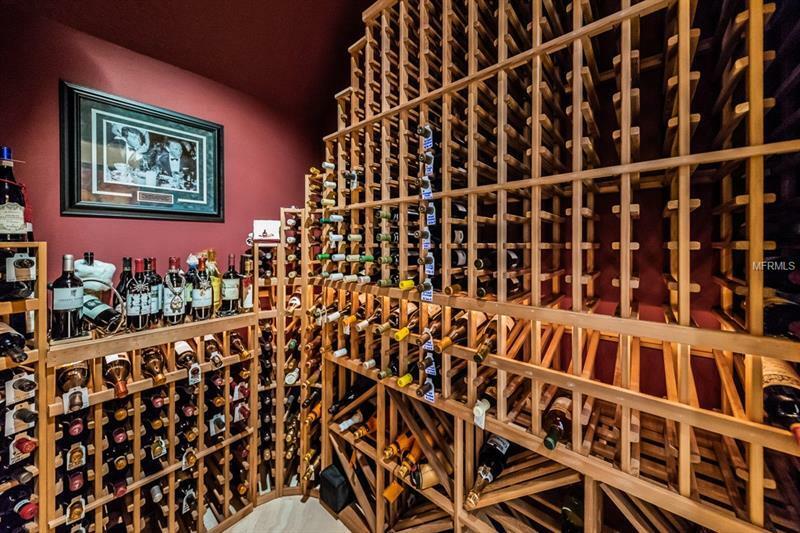 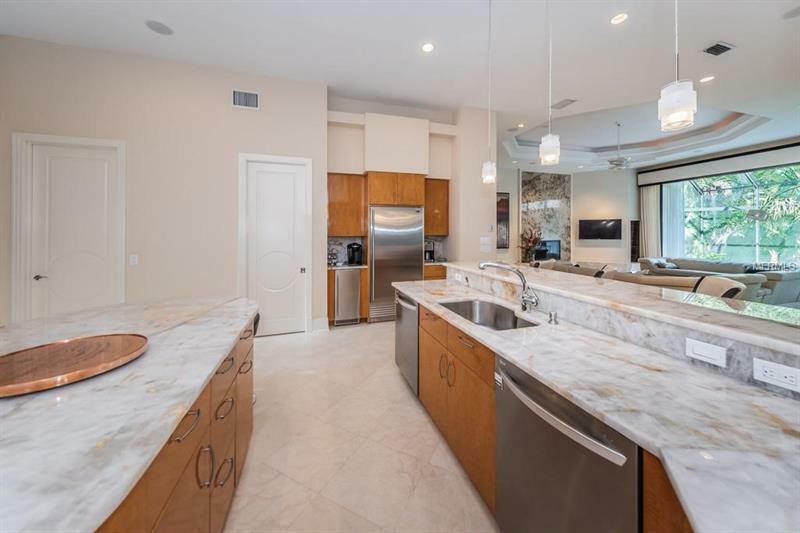 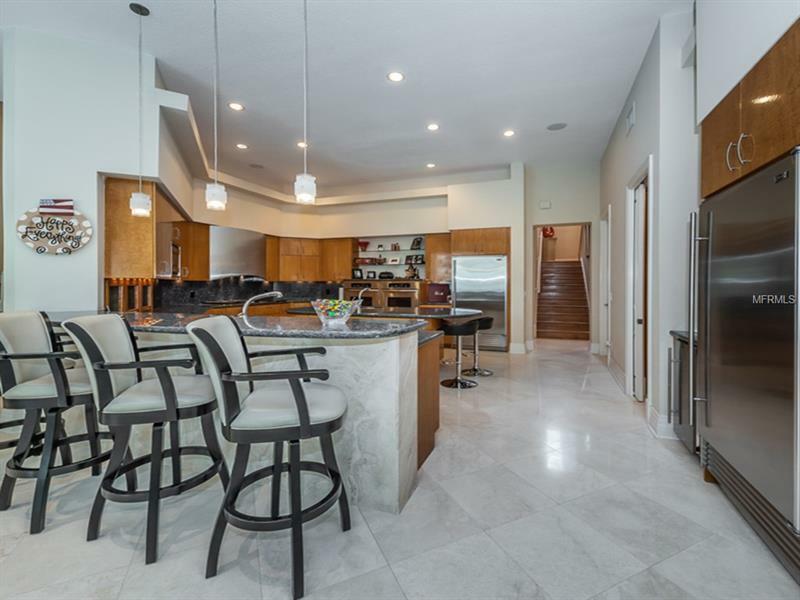 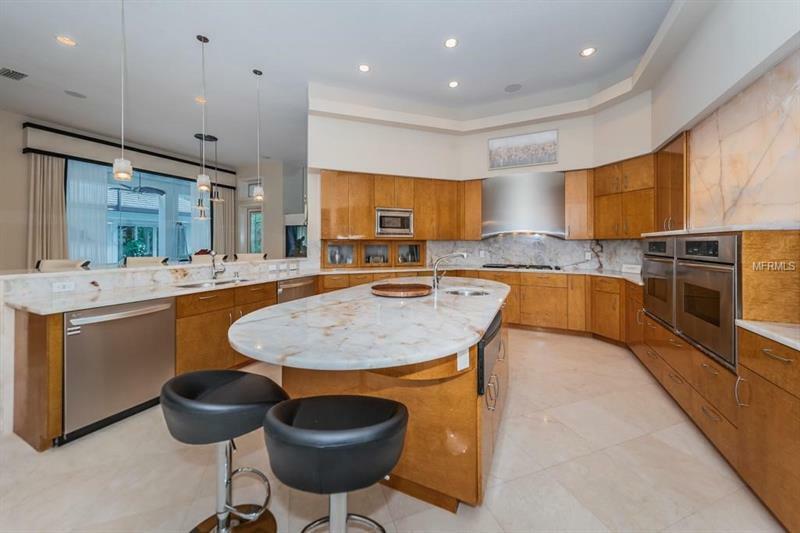 Gourmet kitchen offers impressive granite counters multi-level bar large center island gas cooking upgraded hi-quality appliances a rare private kitchen office & spacious walk-in pantry. 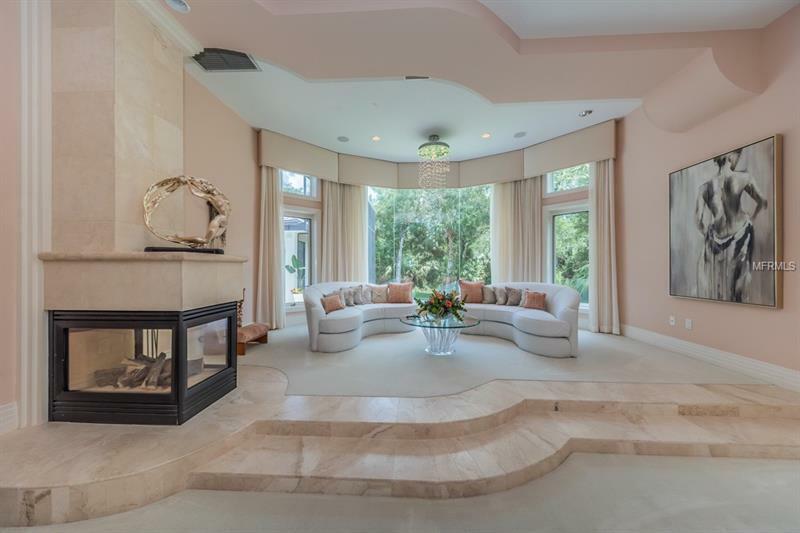 Resplendent master suite enjoys tall ceilings a sublime 230 sqft sitting area 3-sided fireplace & superbly finished walk-in closet. 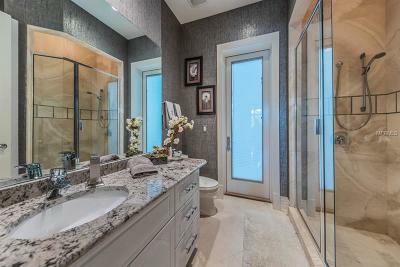 Huge ultra-luxurious master bath provides exceptional materials/workmanship striking dual vanities jetted spa tub & wonderful walk-in shower w/numerous options. 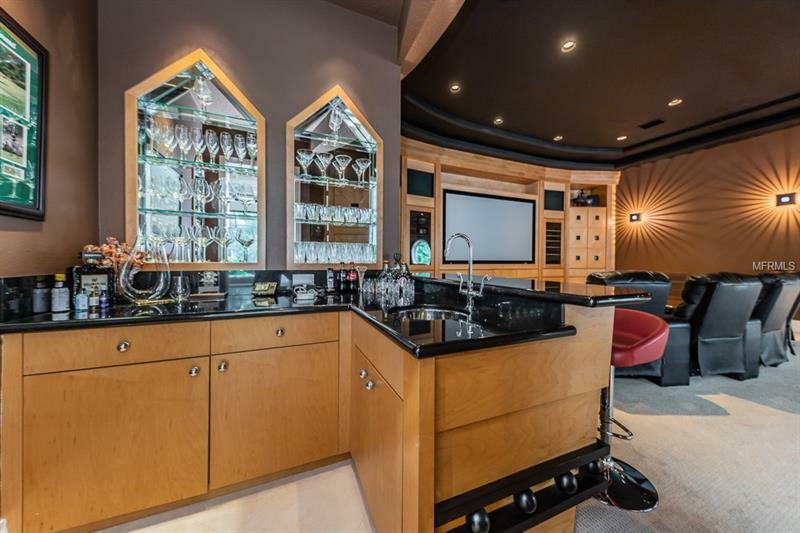 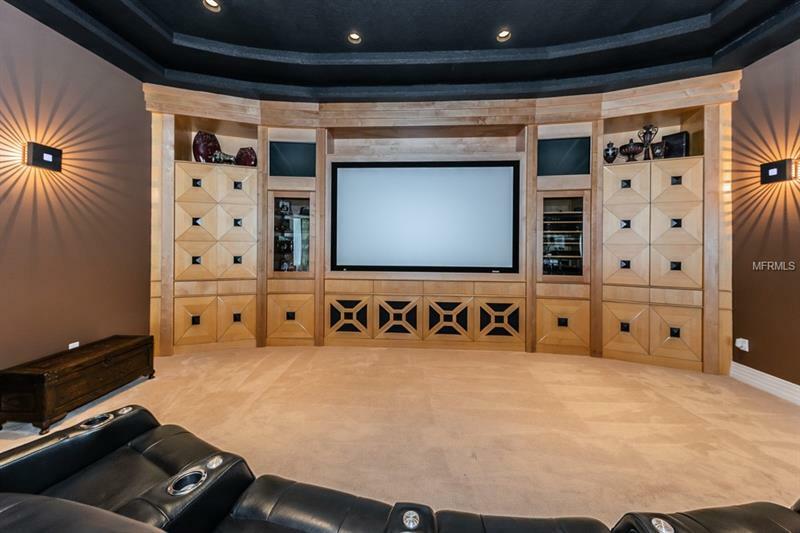 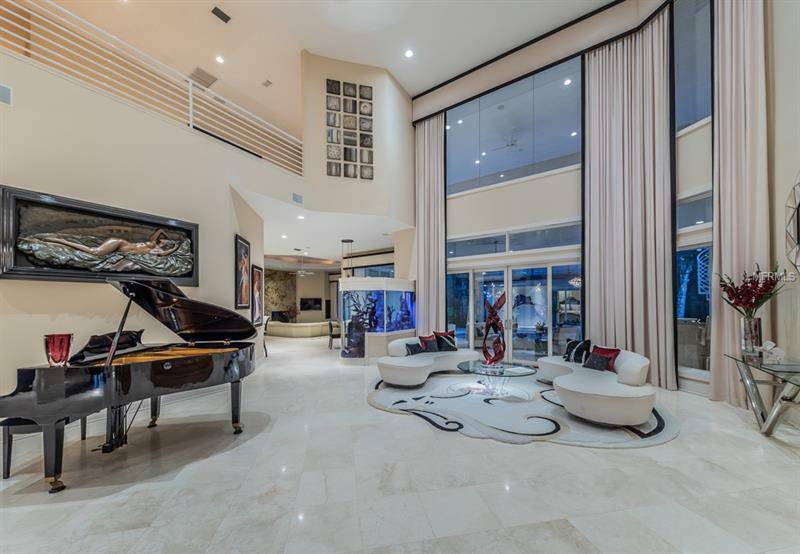 Youâll love the immense theater/game room & its lavish full wetbar. 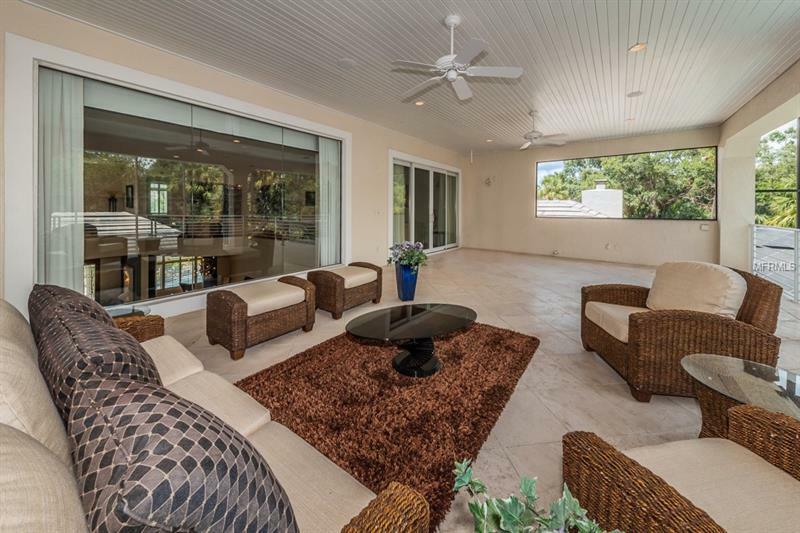 Step out to the astonishing covered deck & its fine kitchen/bar area large sitting area elegant pool luxurious cabana guest house circulating pond & separate dining deck all tied together by a spectacular 55000 cuft screen enclosure. 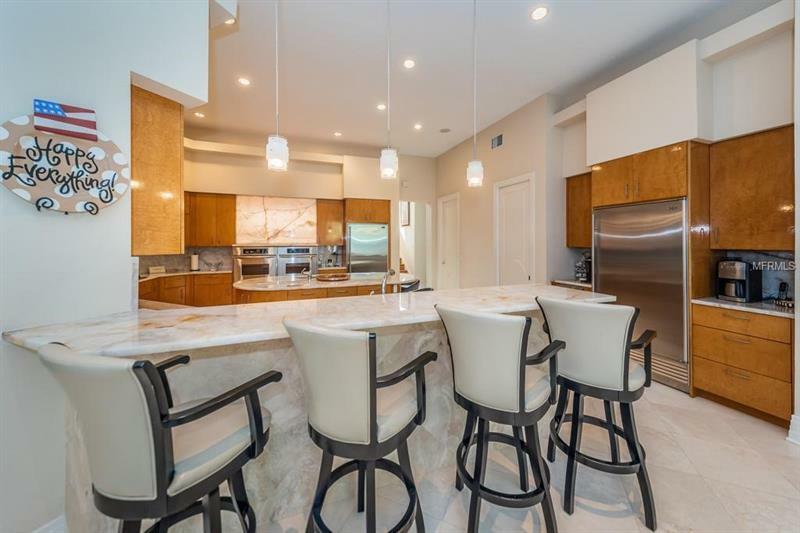 Upstairs youâll find 3 grand en suite bedrooms with beautiful full baths/closet systems & a sizable living area that opens to a fabulous 875 sqft covered balcony. 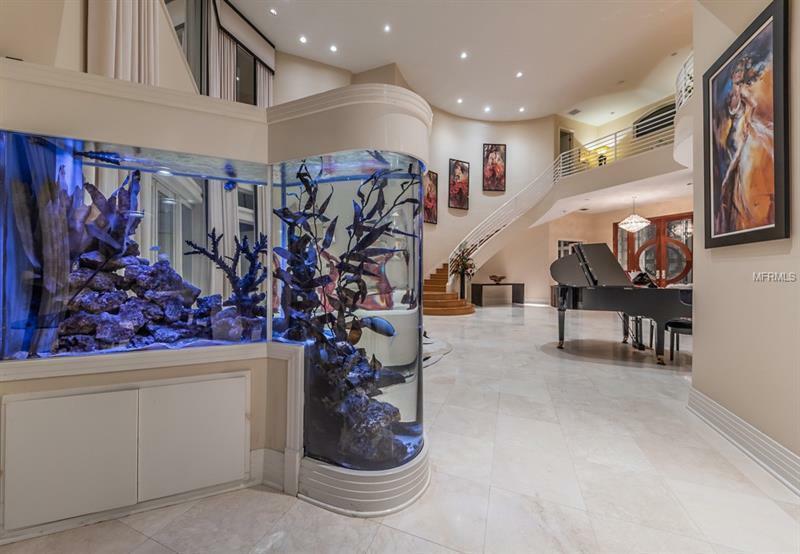 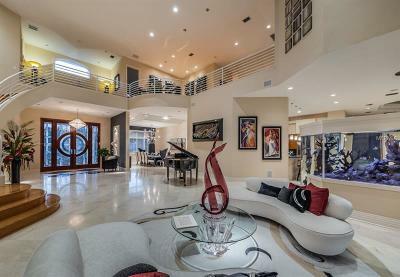 A Brilliantly updated entertainerâs dream with a long list of inspiring amenities!